1. 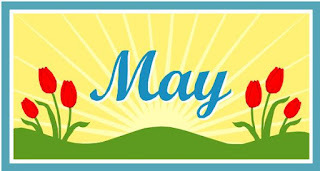 It is the last day of April. May begins tomorrow. 2. 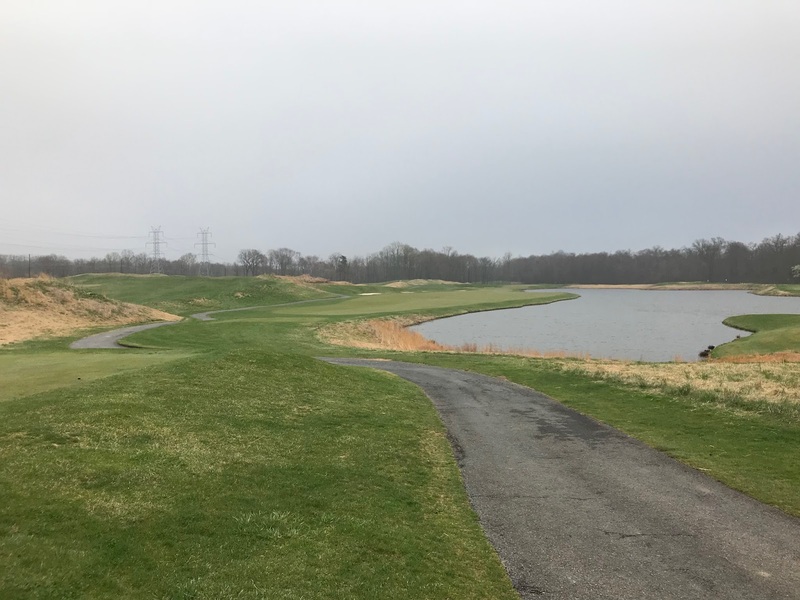 It is hard to play golf when the temperature is falling from the 50's to the mid-40's. 3. The Orioles managed a win yesterday! They have tied September 2017 for the number of wins during a month at 7. Ugh! They have won two of the last three, however! 4. The trees are finally rocking the green! 5. There are 80's in the forecast. 6. Don't forget Cinco de Mayo is Saturday. It is my favorite foreign holiday and there were direct implications for the United States. 7. 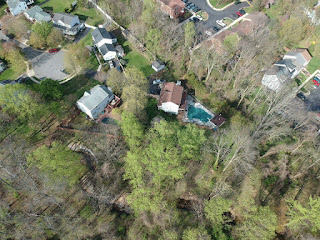 Pool opening weekend is coming, I am deciding that it may be this weekend! I am feeling stirrings of summertime! I am tired of looking at images from Radio Flyer with the cover on the pool. 8. The Penguins stumbled yesterday in their quest for their third consecutive Stanley Cup losing to the Caps 4-1. "We must be willing to pay for excellence in government or risk a government run only by people of wealth or by those beholden to special interests." Yesterday was an exception to the spate of bad weather days. The sky was blue during the morning and the temperatures were into the 70's and Chris and I got a lot of outdoors work done recovering from the winter. 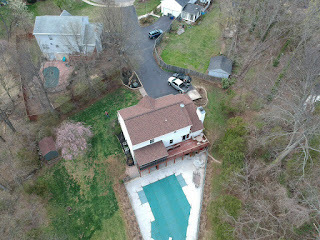 The pool area is coming along, although I have not decided when to actually one the pool. I'm feeling like it may be next weekend, especially if the forecast 80 degree days actually show up. It is time to begin to celebrate the arrival of the outdoors season. I wish that we had a longer outdoors season, but I need to enjoy what I actually can. 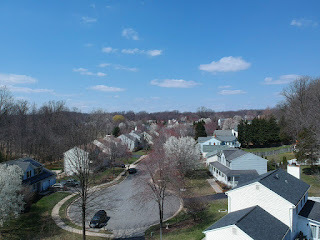 The leaves are beginning to fill the blank spaces in the trees and return the scenery to green. That is encouraging. 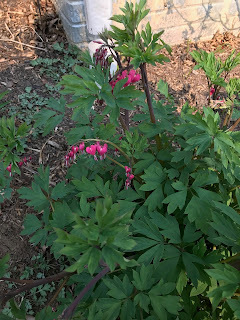 Flowers are blooming, finally, everywhere and my azaleas are about to burst forth as an added benefit. 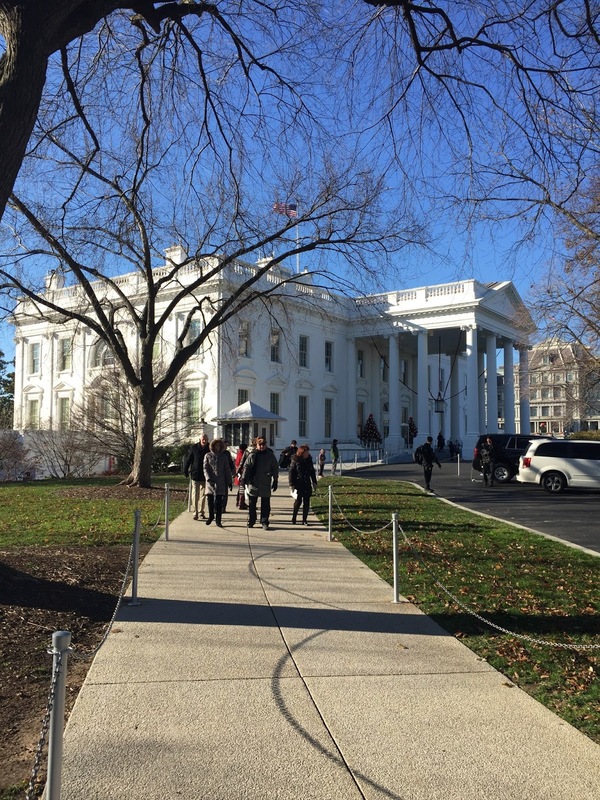 It was a great and busy day! After I wrote about how miserably the Orioles were playing, they shut out the Detroit Tigers 6-0 last evening. It qualifies as their first blow-out delivered of the season AND a shut out. They have now won 6 games during April and are posting an overall 7-19 (.269) record. The Pittsburgh Penguins defeated the Washington Capitals in game 1 of their second round series in pursuit of the Stanley Cup. The Pens have met the Caps 10 times in the playoffs and hold a 9-1 advantage in series won. The Pens are seeking their third consecutive Stanley Cup. There are 80 degree temperatures in the forecast for next week! I am very excited! 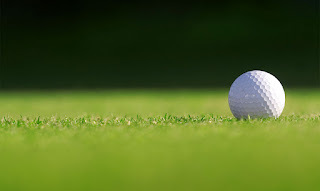 Despite the warmer forecast, it looks as if we will be playing golf tomorrow in the cold, yet again. The forecast high for the day is 60 degrees! Hopefully, the GORC Intramural Dodgers will be able to play their game today. It has been a rough week with one practice and two games canceled due to rain and poor field conditions. The best thing that could happen to the Orioles is that April would end and a new month start. The Orioles have won 5 games during April and are finding new ways to lose. The sport the third worst record in the majors at 6-19. The season has rapidly gone downhill. It has become downright ugly and difficult to watch. It is as bad as they finished September 2017 when they went 7-20 suffering a total end of the year collapse. Since the beginning of September 2017 the Orioles are 13-40 (.245). There was one game in October last year which was also a loss to end the season. Last evening was no exception to the terrible string. The Orioles gave up 6 runs in the first 3 innings before finally scoring en route to a 9-5 loss. The statistics do not look good. They have been blown out 6 times already this season while issuing no blow-outs of their own. Blow-outs in baseball are defined as losing or winning by 5 runs or more. The team batting average is a dismal .213. Last night they got 16 hits, but committed 3 errors and could only manage 5 runs. Dismal is the worst that comes to mind. But if the bats keep swinging maybe they will string some hits together. 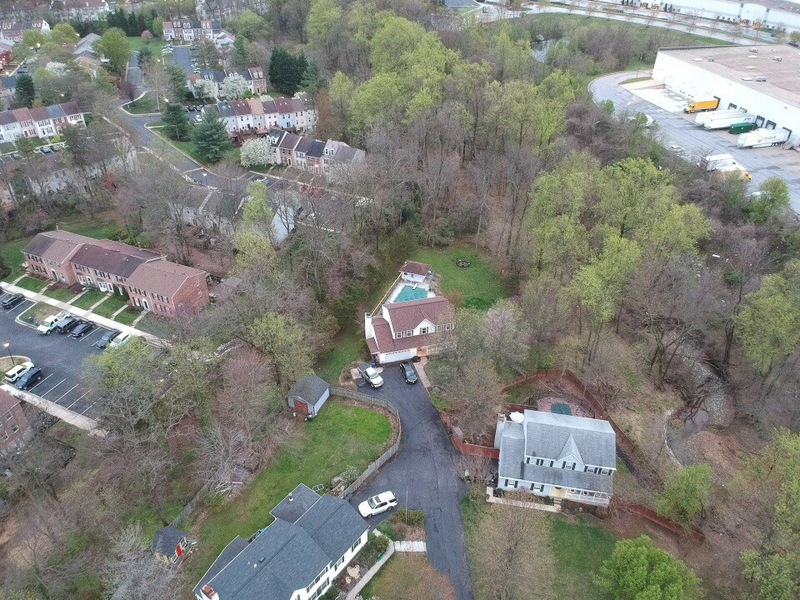 The trees are beginning to leaf out. 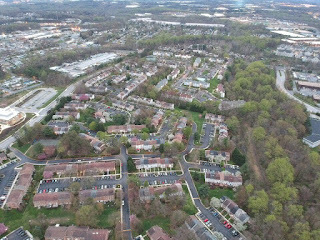 I flew Radio Flyer last evening to get some images of the developing leaves. It is very amazing how things have changed in a few short weeks. The trees are greening and are beginning to obscure the flight lines I used during previous flights. It was good to see how much the leaves are beginning to burst forth. I love the green leaves! I have been missing them for six long months since they changed color and fell from the trees during October. N ow, they have begun to return. 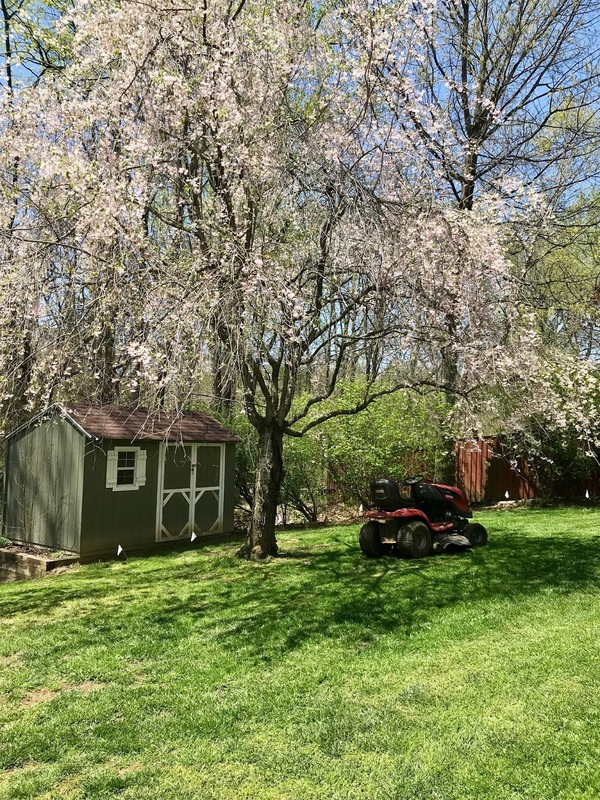 The return of the leaves, along with mowing the lawn on Saturday, is a sure sign that after the far too long Winter, Spring is finally arriving. There are even some 80's in the forecast for next week! Yes! At least the temperature has stayed warmer. Now the Spring-time rains have arrived and are playing havoc with the baseball schedules. Last night, the Orioles were rained out and the GORC Pirates practice was also rained out. It was supposed to be an aggressive week of practice and games and we really needed the practice. 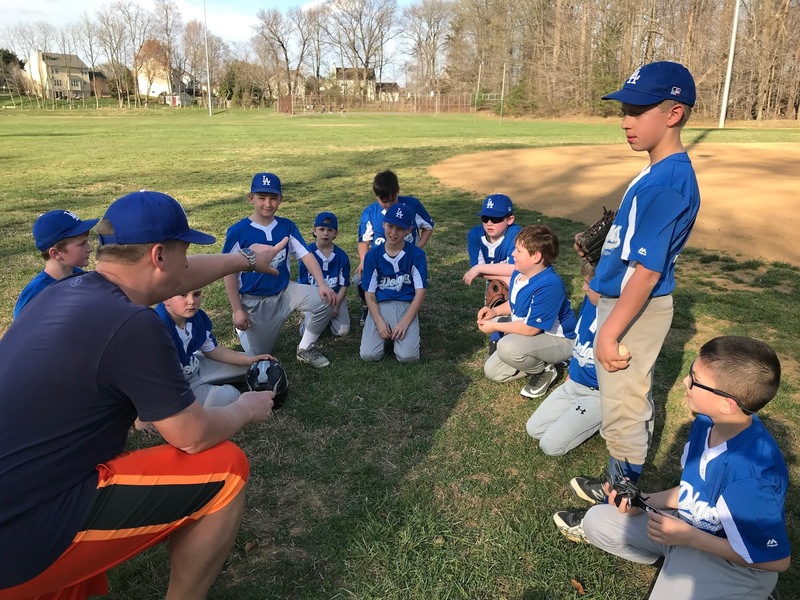 This is the time of the year when almost everything revolves around baseball and the weather plays a big part in whether the games are played or delayed. It is frustrating to get ready for practice and games only ot have the weather intervene. The weather has been bad enough this year anyway. At least the grass in the yard is growing. Well, that's the game as they say. I long to be warm at a game! 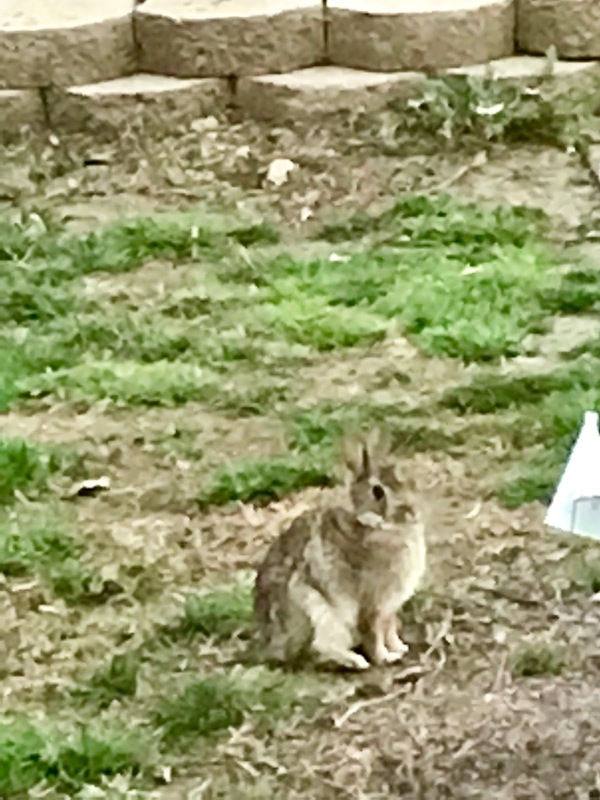 There was a big rabbit sitting in my yard yesterday morning munching on my newly green grass. The spot is right out in front of the house next to the driveway. A very open and unprotected spot for a rabbit. 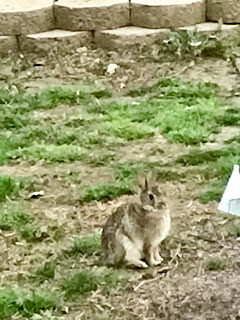 As you can see, my yard has some rough spots where the rabbits like to graze. But in addition to eating my grass, they eat the hostas which are trying to grow and many of the other young tender plants around the yard. While I generally like the idea of rabbits, I'm not sure I appreciate the reality of them. And then there are the droppings, which Finnegan loves like they are tootsie rolls. Yech. Dogs can be very disgusting when it comes to such things. Maybe we need a fox to control the rabbits. 1. It is the next to last Monday in April. The month is screaming to a close. 2. Wasn't it funny that the IRS was not expecting a large volume of people to file their taxes on the last day and it broke their computers? I'm sure nothing like that has ever happened before. 3. 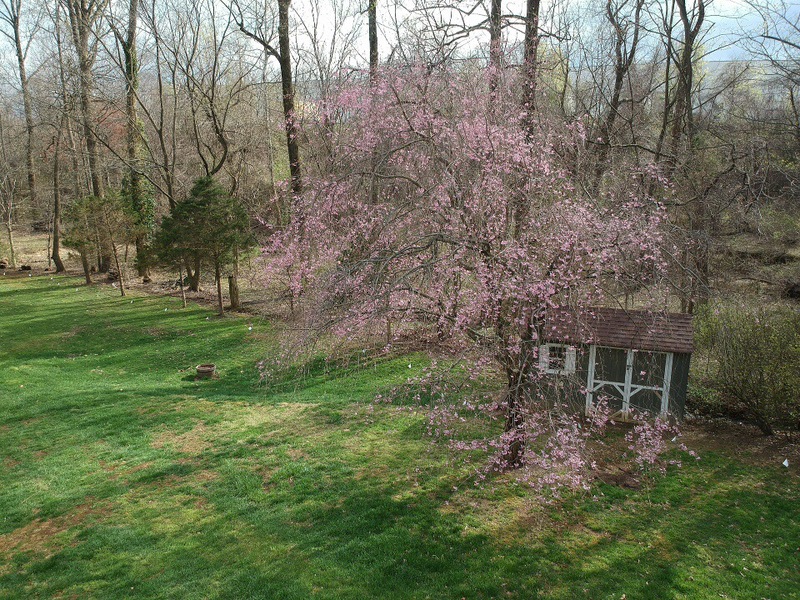 Spring arrived! 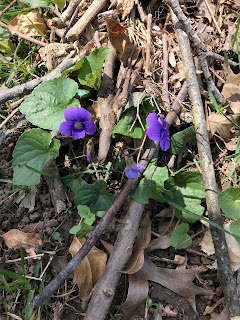 I found some violets in the yard. 4. Congrats to the Penguins as they move onto the next round of the NHL playoffs. 5. 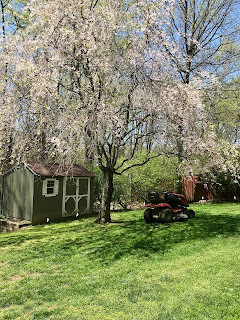 Yesterday, I mowed the lawn for the first time this season. I am glad there is finally enough green to actually begin the mowing process. 6. Golf yesterday morning was actually pleasant. By the end of the round I was able to take my coat off and enjoy the day. It was cool, but not cold! 7. 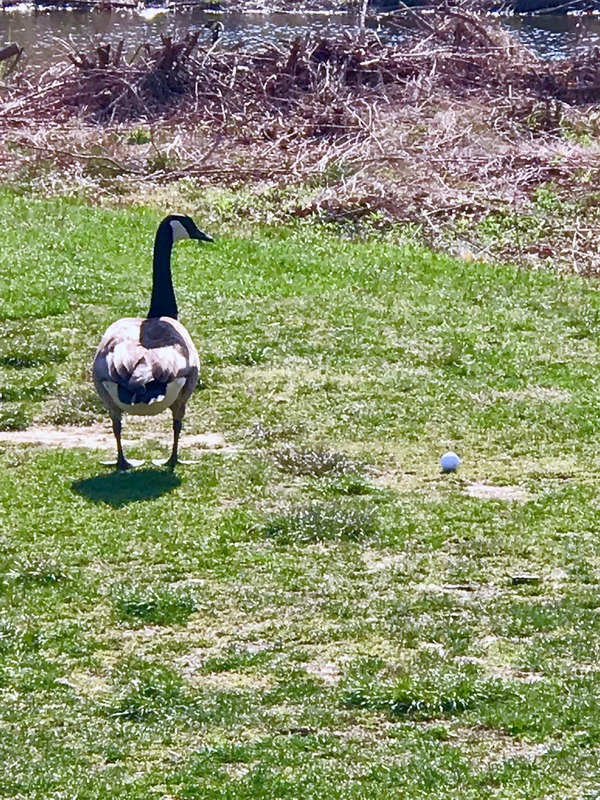 I did have a close encounter with a goose on the golf course. 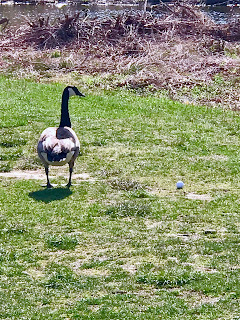 The goose was very interested in my golf ball and had to be encouraged to move away so that I could play my shot. Geese are much easier to move along than are alligators which we often see in Florida. 8. The cold temperatures of last week affected the grapevine buds. I hope that not too many were lost. "It's time we tapped the well of human spirit that runs so deep in our land. We'll find more than the strength of numbers and the strength of resources. We'll find the strength of individual courage, know-how, and love of country." It was an early morning game for the GORC Dodgers. The temperature at game time was barely 40 degrees, but it warmed quickly to almost 50 degrees. 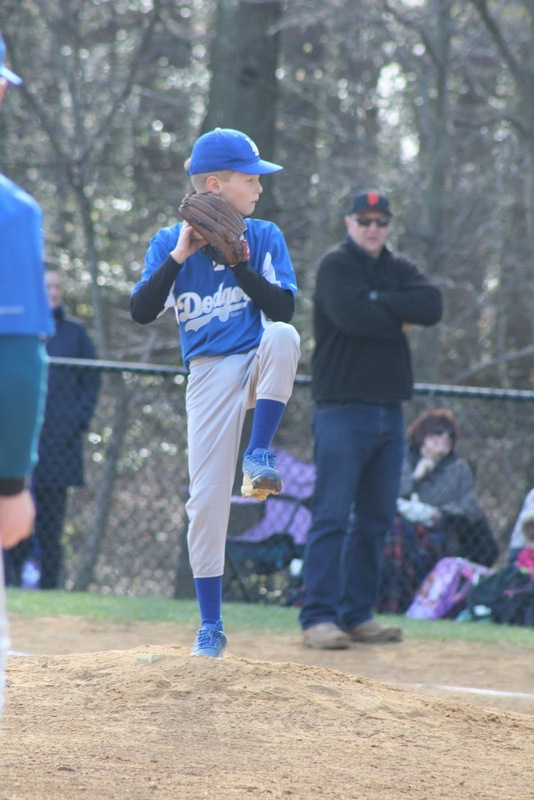 The Dodgers showed up to play and soundly defeated their opponents the Crofton Giants, 14-1. The game featured a very rare unassisted double-play by Jackson. With runners on 2nd and 3rd, he caught a pop-up and ran to to catch a runner who left third base too quickly. Had there been no outs at the beginning of the play it would have been a triple play since the runner on second also showed up at third base and Jax tagged him too. 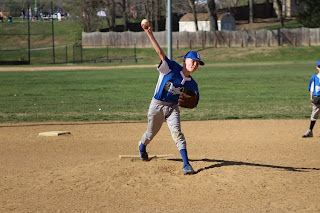 Jax also pitched three innings of shut-out baseball, including the first inning which saw only three hitters go to the plate. The rest of the team played strong as well. 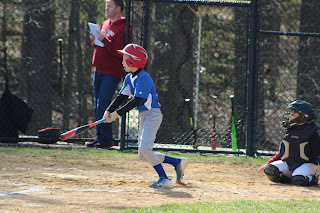 There was good hitting, including a home run, and smart base running. There were also a couple of other defensive gems. 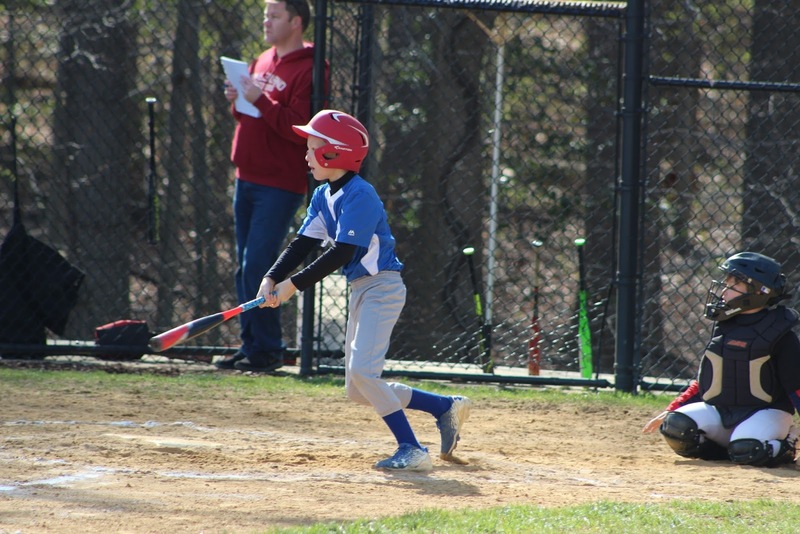 Crofton's only run came on a bases-loaded hit batsman. It was an exciting game. The team has a tough week ahead with practice on Tuesday and games on Wednesday, Friday, and Saturday! Wow. What a schedule. Thank goodness the team is blessed with six quality pitchers. During the evenings this week we have had some enjoyable activities including sitting around the fire pit, until it ran out of propane. 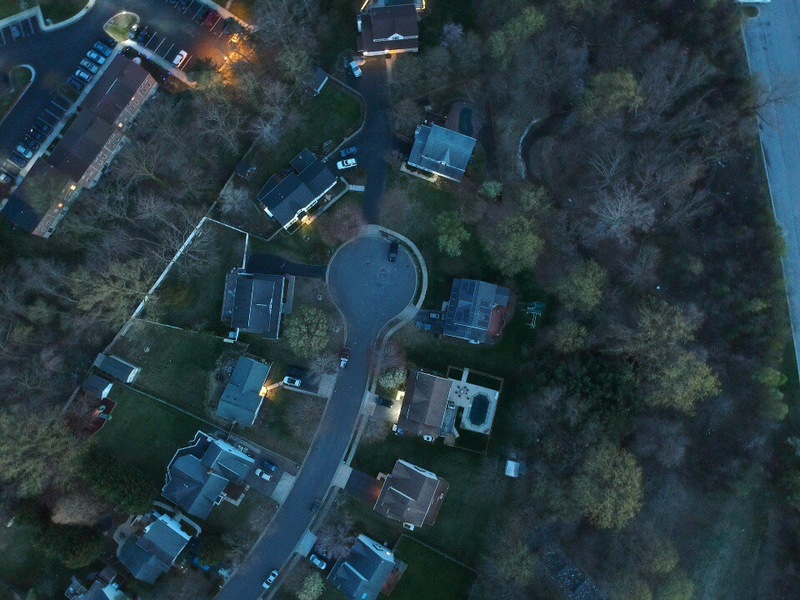 I was able to fly Radio Flyer at dusk last evening and got some nice shots as the light was leaving the sky. It was fun to fly my drone and be able to see its lights and follow its flight. Earlier in the week, as we were sitting around the fire pit enjoying Happy Hour, Chris and I were amused by the antics of Ted, Jeremy's Keeshond puppy. Ted ran around the pool with Finnegan, but was especially enjoying the water just under the cover. He is a true water dog. It was fun to watch Ted run across the pool cover. He is so full of energy. I wish I had that much energy. The GORC Dodgers played a baseball game last evening. It was cold! Too cold. 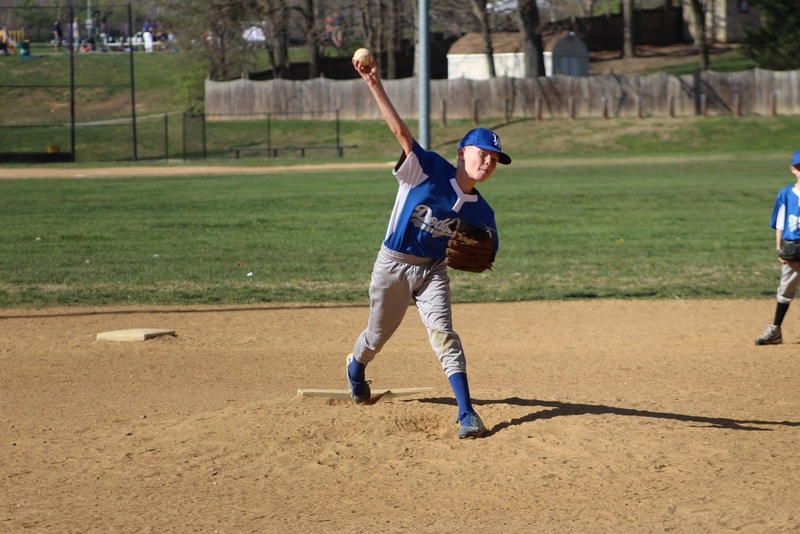 It is really hard to play baseball when it is cold and over the course of the game it got colder. According to the weather history for Crofton, where the game was played, the temperature was about 47 degrees when the game started, but the wind chill was closer to 40 degrees. By game's end, the temperature was 44 degrees, but the windchill had dropped to about 37 degrees. It was cold, but the guys persevered. It was hard to concentrate on baseball. 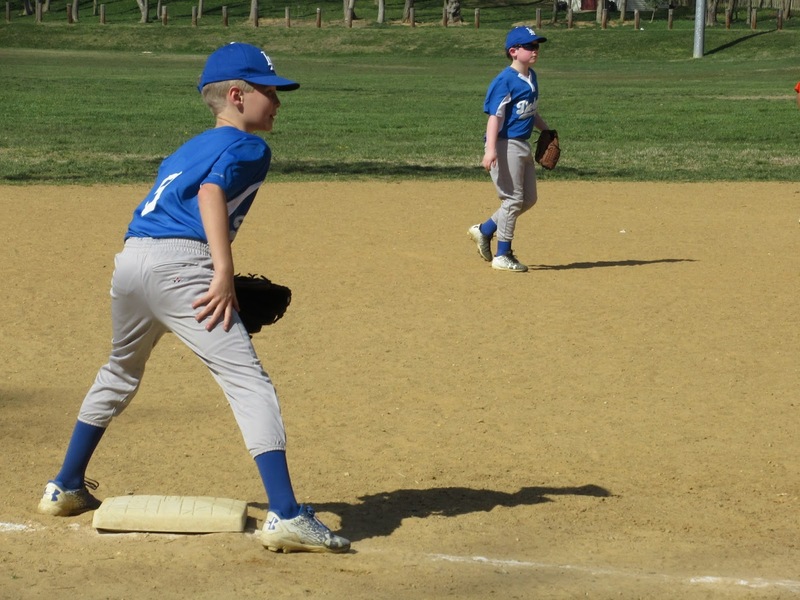 In the end, the Dodgers squeaked by the Crofton Orioles 7-5. It was not a pretty game, but the pitching held up. This game went 5 innings, which is longer than the opening day 4 inning game. Both games were ended due to the time limit. 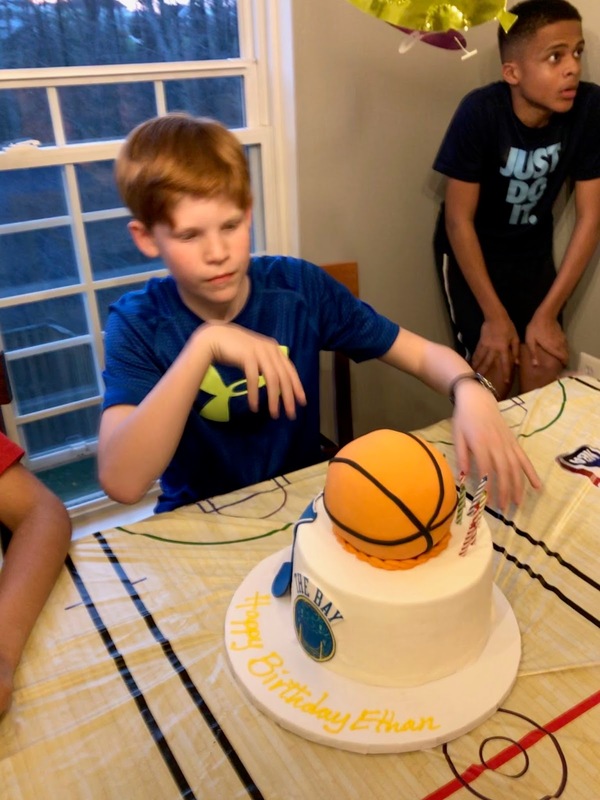 Jackson, for his part, played a solid game. He put the tag on a runner at third for an out on an attempted steal and had some solid hits. It was so cold, I don't think anyone took pictures of the event. I guess that it is hard to say that the Orioles have collapsed as it appears that they never came out of the dugout committed to the season. The O's currently sport a disappointing 5-13 record. They have a five game losing streak and face Detroit again tomorrow needing a win to avert another series sweep. I had predicted a 7-10 start, but thought they would likely manage to win the Detroit series, hence I was expecting them to be 9-11 after the Detroit series. Since there was a rainout in Boston, they could have been as good as it 9-10. It isn't there yet. The team has too many holes--pitching, fielding, batting. Aside from that, they are in pretty good shape. There are still 144 games to play and the O's can turn things around. They seem to be close in most games and have lost many games during the late innings. The only highlight so far is that they have not lost a Thursday game! 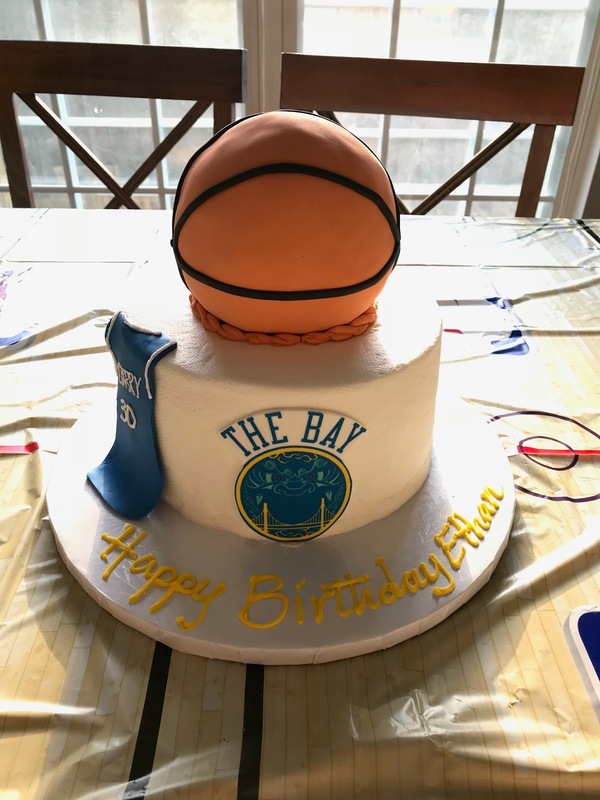 Maybe they will win this afternoon's game! I can hope. The beginning of the season optimism has evaporated. 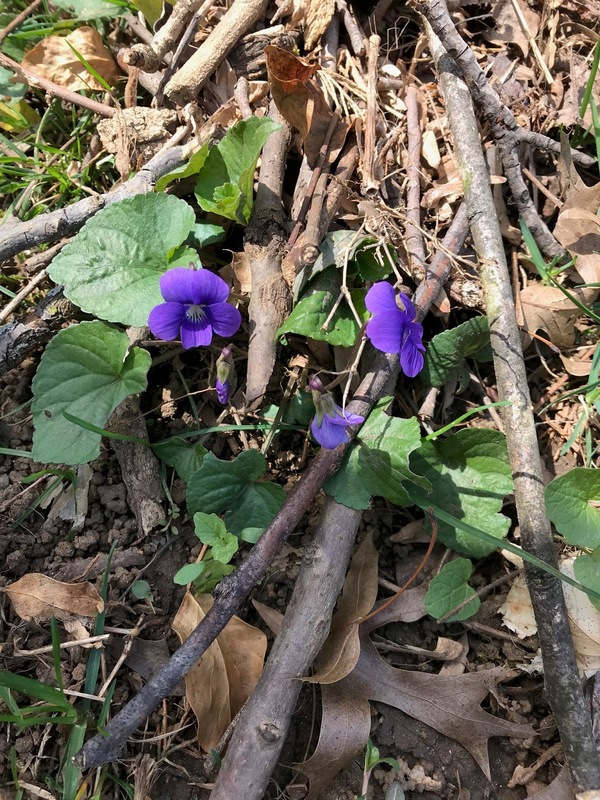 During the two days of warm weather last week, every tree and plans, it seemed, expended pent-up energy and blossomed forth only to be greeted this morning by temperatures below freezing. The temperature has dipped to 29 degrees this morning. Many of the plants don't really care much about the cold temperatures, but I did receive a report this morning from wine country in Virginia that the vineyards were working to protect the grape vine buds due to freezing temperatures. 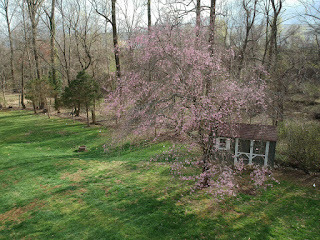 Around the house, however, there are the signs of Springtime's arrival. I flew Radio Flyer yesterday to document the greening of the yards and the area around the house. It was encouraging to see the green replacing the brown of winter. 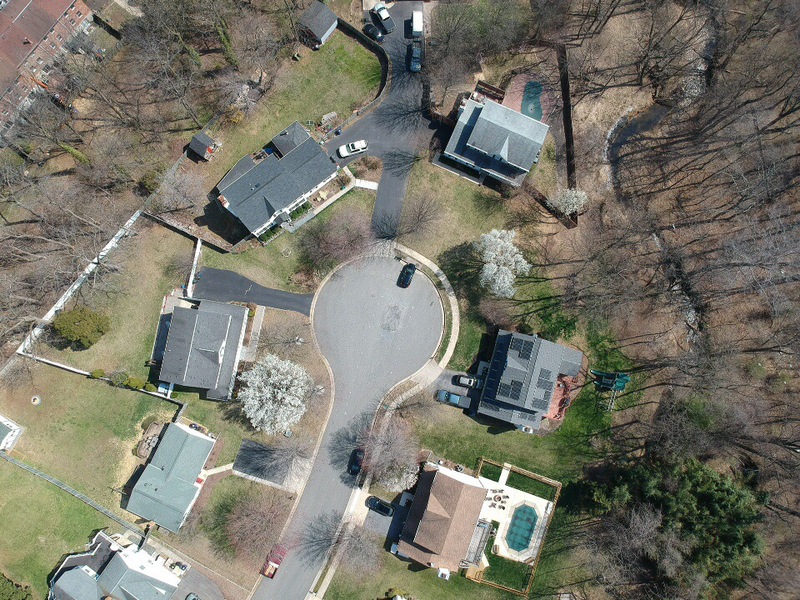 The winds aloft were high, but my drone handled them very well. 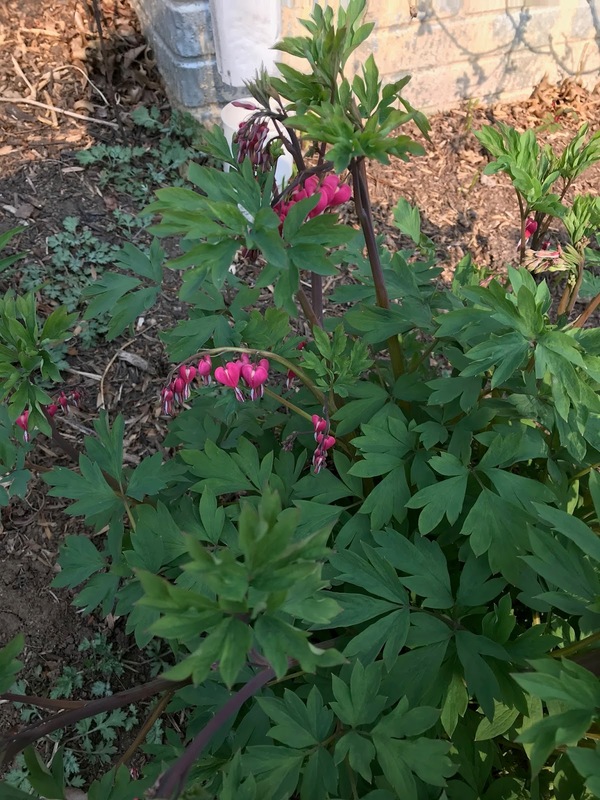 The bleeding hearts are up and blossoming, there grass is turning green, and the weeping cherry tree is finally getting some blooms, although the weather has certainly reduced the density of the blossoms this year. I hope the cold breaks soon! It is time to get onto outdoors activity. The GORC Dodgers had practice last evening and it was very cold with temperatures only in the 40's. Spring is coming and may even be here. It is just hiding. The cold weather has returned and the rains have come very strong washing away some of the mulch Chris and I recently placed in our gardens. I am longing for warmer weather. In reviewing the forecast I am struck that today's expected high of 49 degrees is almost 40 degrees cooler than last Friday's actual 88 degree temperature. While the 10-day forecast does show a warming trend into the 60's, and dryer conditions, it is still going to be too cool to consider opening the pool. Even worse, we have baseball practice tonight and a game on Thursday! Hopefully the fields will be dry enough to practice tonight after the torrential rains of the past few days. Life goes on, it just could be warmer! 1. Tax Day is tomorrow! We all know what that means! 2. 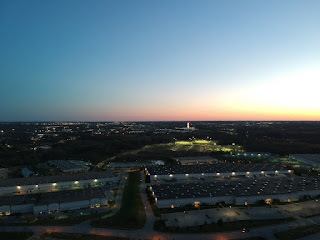 The two 80 degree days last week are sorely missed right now. The rain is falling and it is cold. 3. NHL Hockey: Penguins win, lead series 2-1. Capital lose, losing series 0-2. 4. Baseball: Orioles lose again, will not make my prediction for first 17 games. Currently are 5-11 and today's 17th game of the season is rained out, already. 5. 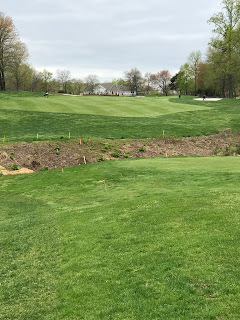 I played a round of golf yesterday. The temperature dropped from the 50's into the 40's while I was playing. 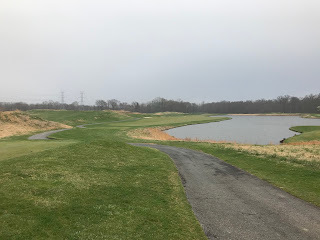 It was another raw, cold round of golf. My score reflected my lack of enthusiasm. I took an image of the day. The course is hosting a US Open Playoff Tournament, I don't think I'm anywhere near ready for that, but it was nice to play on a course preparing for that caliber of golf. 6. I wonder what new craziness will emerge from Washington this week? I'm not sure it can top last week. "My foremost responsibility is our national security, just as it is the prime duty of Congress to appropriate the necessary resources to keep our defenses strong. This is our duty, not only to America but to the cause of human freedom. It's also our job to make sure that every tax dollar we spend, we spend well." 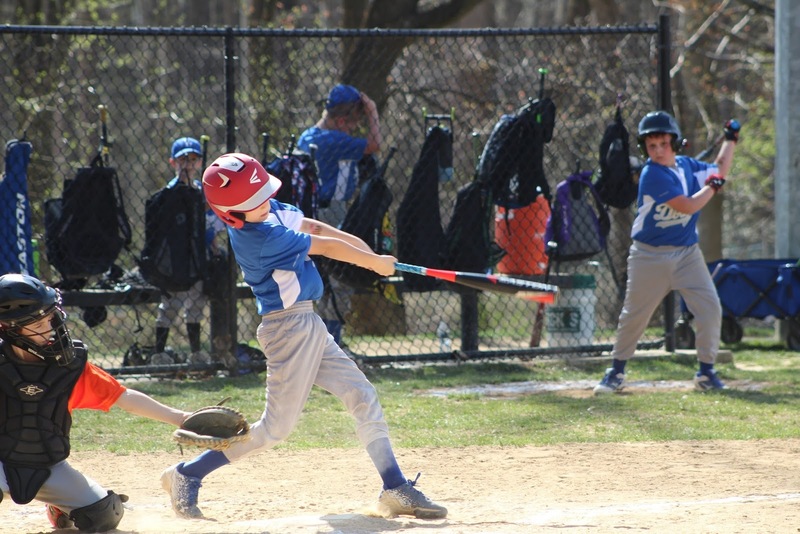 The official beginning of the youth baseball season occurred yesterday with the GORC Dodgers defeating the Crofton Orioles 16-8. It was only a 4 inning affair due to the slowness of the game. All of the kids played great. We were actually behind after two innings after giving up a grand slam; however, the boys responded over the next two innings with two home runs of their own, including one by Jax, and some solid base running. It was very interesting that both of our pitchers each hit a homer. Jax pitched two solid innings and looked great on the mound, in the field, and at the plate. It was a great start to the season. The two teams meet again on Thursday in Crofton to complete the home-and-home series. Yesterday was one for the record books. It is a day that will never repeat in all of its interesting permutations. 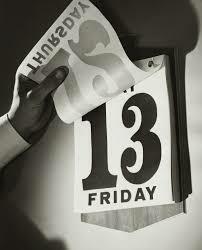 It was Friday, hence it was also Friday the 13th. It was Thomas Jefferson's birthday! Just throwing this in, because the most important aspect of the day is yet to come. 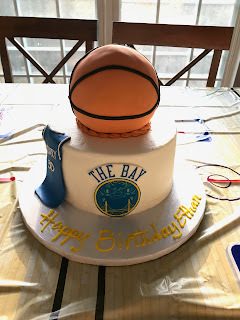 It was Ethan's 13th birthday! Our oldest grandson became a teenager! While the party was somewhat subdued, I am sure the next few years will be exciting. In addition to the combination of 13's, the weather for the day was spectacular. The high was 87 degrees and the skies were clear. The day was a taste of more to come, but after a similar day today, it will be over 10 days before we see temperatures in the 80's again. The day was a unique combination of 13s and weather. And now, since we have successfully made it past the 13th--cue Springtime. It finally happened yesterday. The temperatures climbed into the 70s with a bright sun and blue skies! It seemed as if Spring had finally shaken off the lingering effects of Winter and decided to make an appearance almost one month late. It turned into a great afternoon in which Lucas could finally get some time in on his new bike, which had been waiting for nice weather since January. Chris, Jeremy, and I along with the dogs walked Luke over to the school where he got some good time in riding his bike. 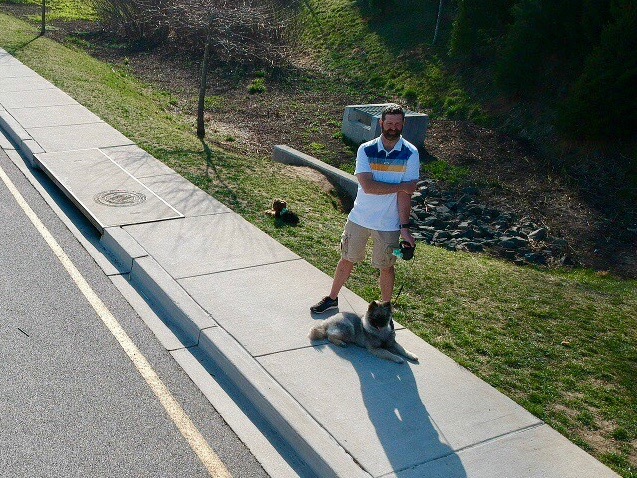 We were not the only people enjoying the warm afternoon. Radio Flyer even flew to document the activity, although the winds were a bit gusty and I had to keep it close. It was an enjoyable outdoor activity during a time when there just has not been the opportunity to get outdoors. There are more days like this on tap, finally! Let the Springtime roll! So much has been happening in the news lately. It can rally make one's head spin. There is so much stuff coming out of Washington that it makes trying to understand what is happening to the country and our leadership very difficult. 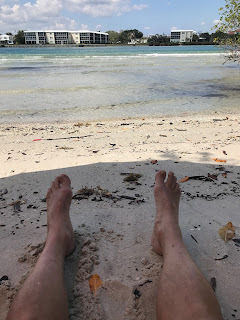 Being away on vacation, I tried hard not to get too involved in everything happening, but the discussions and recriminations are everywhere and affecting every aspect of this country. An opinion column in The Washington Post titled, Trump is making less sense than ever, lays out things that happen and seem to make no sense. Then there is Speaker of the House, Paul Ryan, deciding not to run for office again. I am not entirely sad to see him go, however, I am concerned that any voice of reason for the Republican Party has been lost. On top of the insanity in Washington, there are chemical attacks and retaliations in Syria that are threatening to further embroil the region in deeper conflict. There is also the Facebook mess. I think the Facebook problems may be overblown in an attempt to overshadow the other problems in Washington. I'm not sure where this is all heading, but it cannot be good. Although it is Wednesday morning, I am only just beginning get into the routine of my life again. I am not in a warm, sunny place. Landing in Baltimore yesterday morning the cruel reality of the lingering Winter was evident. The trees are still not bursting with leaves. The cold is slowing their progression from naked branches into leafy shade-giving trees providing relief from the blistering sun. I could use some blistering sun. 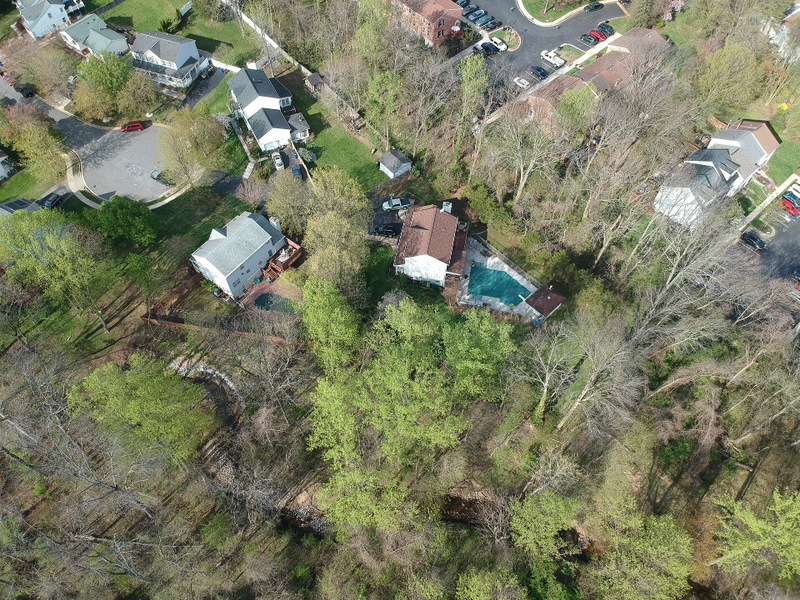 I flew Radio Flyer yesterday and took some images just to document the late arrival of Spring and the leaves on the trees. I have not even begun to plan my pool opening date yet. It is slipping later and later into May. I hope it is warm by Memorial Day. I hope the weather turns soon. It is supposed to be nice this weekend, but then turn cold again. At least I haven't had to mow the lawn yet. 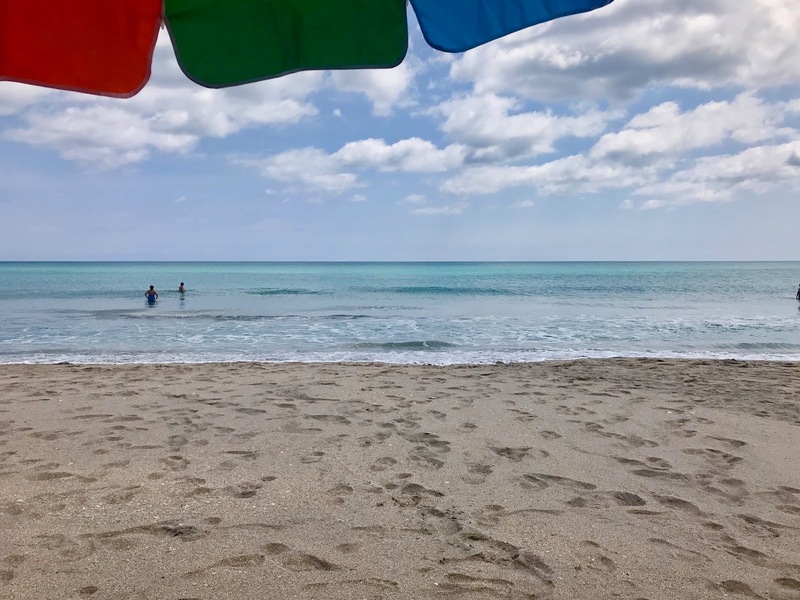 As the jet took-off from Ft Lauderdale this morning shortly after 6AM, I was struck by the hard reality that my beach time had come to an end. 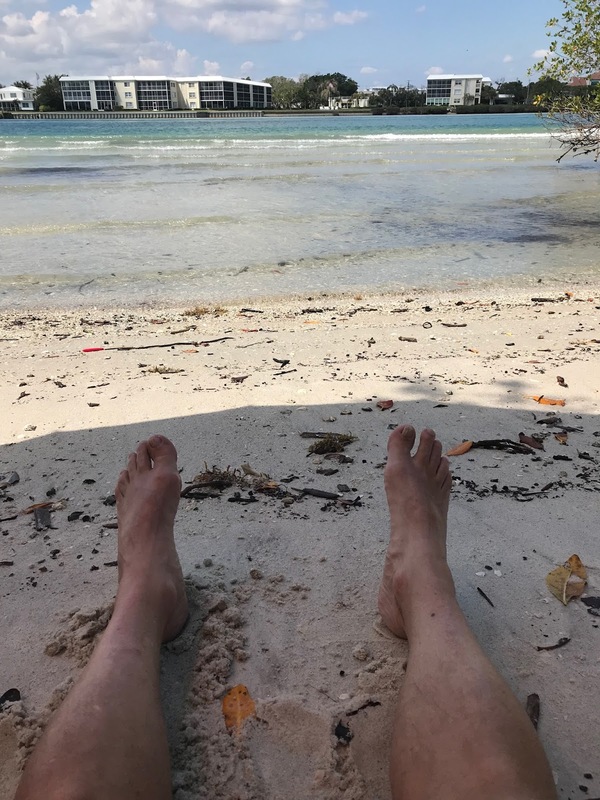 Yesterday I was on the fifth different beach of our vacation, flying Radio Flyer, my drone, in the bright warm sunlight. Today I was flying out of Florida under the over of darkness! What a difference a day makes. At 9AM I was standing in the 30-degree weather at BWI waiting to be picked up and ushered home. It is always great to be home, but this time I would be greater to stay warm. We visited the Intercoastal Waterway Beaches yesterday. Radio Flyer made a great first flight, but then the day began to cloud and the winds began blowing at unsafe speeds. 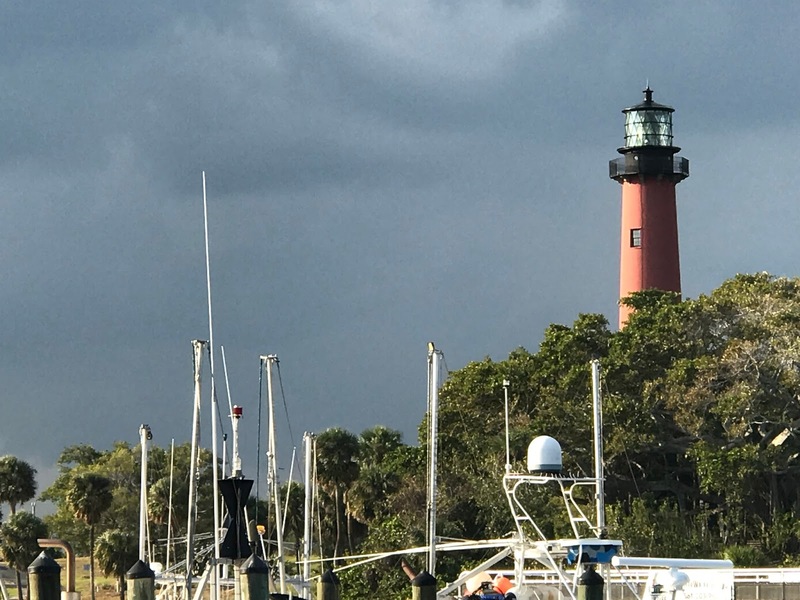 In the evening, we celebrated the end of another great Florida vacation by enjoying a couple cold ones at The Square Grouper and watching the weather form around the Jupiter Lighthouse. I didn't even have time to write the blog this morning, but I did edit the video on the plane. 1. Sadly, today begins my last full day in Florida. Tomorrow it is back to the gray and cold of the northern states. 2. Vacations are nice, especially when the most difficult question has been, which beach should we go to? 3. 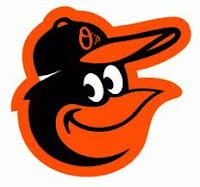 The Orioles have possibly righted the listing Birdland ship by taking a 4-game series from the Yankees 3-1. They are now 4-6 for the season, but sadly are close to my 7-10 prediction for the first 17 games. 4. There has been something really great about walking outside and being greeted by warm, moist weather. 5. The Masters provided a fantastic finish yesterday. Golf can be riveting with nail-biting finishes. 6. My big question for the day, should I play golf or go to the beach this morning? 7. Annoying habits of other drivers on the road: pulling in front without signaling. It would seem that in today's environment of increased distracted driving that people should win a Darwin Award for doing this. 8. Watching the birds on the beach is a relaxing pastime. The pelicans have been flying in large flocks all week long. 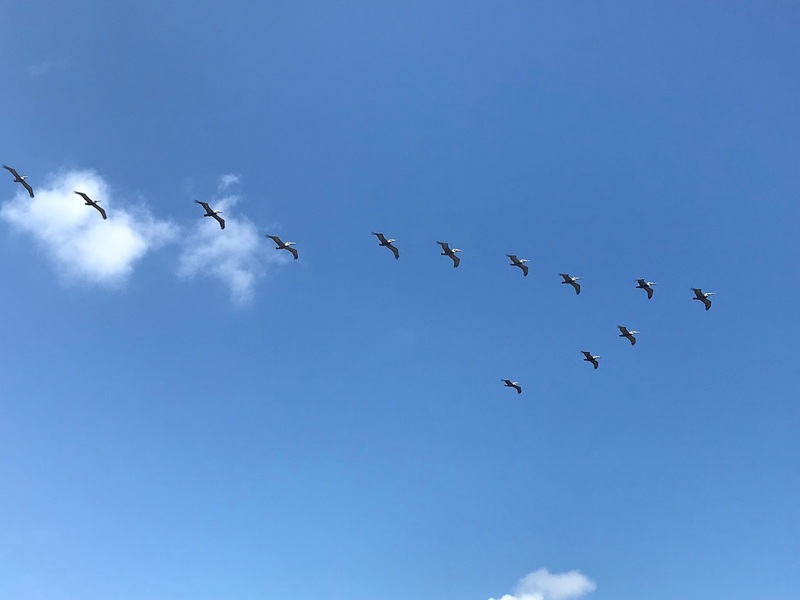 We usually only see them in small groups, but this week we have seen flocks (squadrons) numbering more than 40. It was another idyllic day in Florida during the month of April yesterday. That meant another trip to the beach to enjoy the sun and surf. 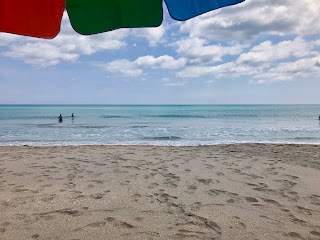 The beach of the day was the Hobe Sound National Wildlife Refuge Beach on Jupiter Island. 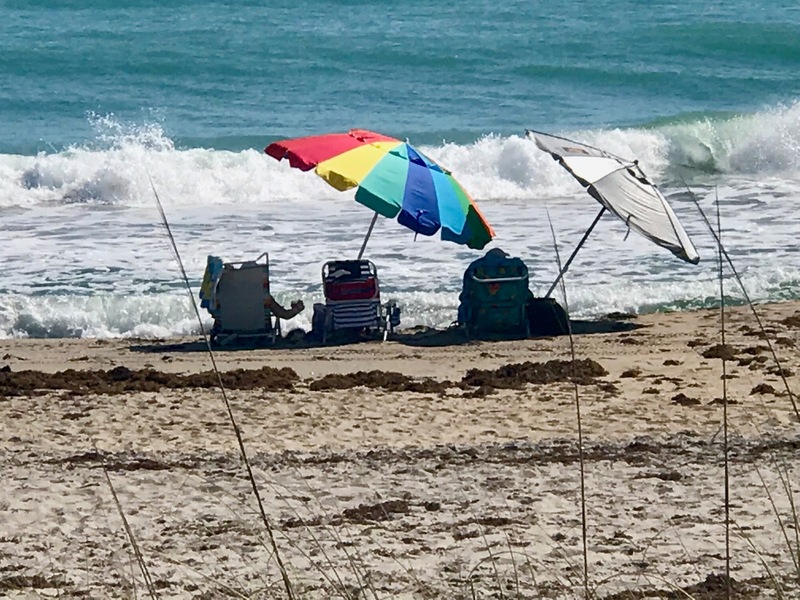 The trip to the beach was planned to take advantage of the morning before the other beachgoers arrived. Being Saturday, we actually experienced some crowds at the beach as we were departing about 1PM. 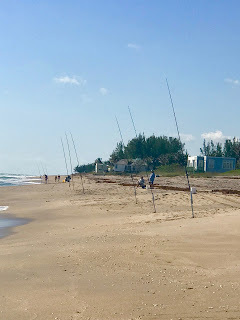 As we arrived, the beach was principally the domain of those fishing for the bounty of the sea. In chatting with the various fishermen, I learned that they were only catching frustration that morning. No one had caught anything meaningful. It was a very interesting view along the water looking at the poles lined up. 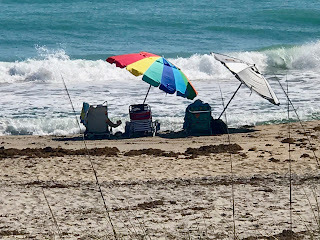 I should have taken and image of that same view later because the poles had been replaced with beach umbrellas. 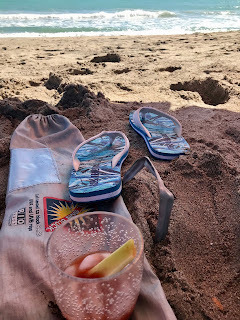 I had some time, while sitting on the beach, to compose a beach image of essential items. Beach trips require a number of things, among them flip flops, beverages, umbrellas and a good view. We were well supplied yesterday. 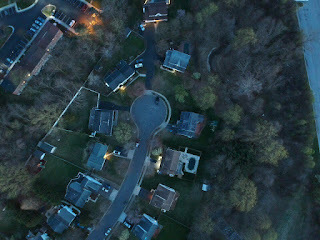 And, since drones are not allowed in the National Wildlife Refuge, there are not corresponding drone images to share. Radio Flyer had to stay in its travel case back at the house. I learned an interesting legal tip about drones in the refuge. It is illegal to even possess a drone in the refuge whether flying it or not. I was smart enough to talk to the ranger BEFORE I took my drone to the refuge. I had read that flying the drone in the refuge was illegal, but I didn't know that even possessing one was illegal as well. 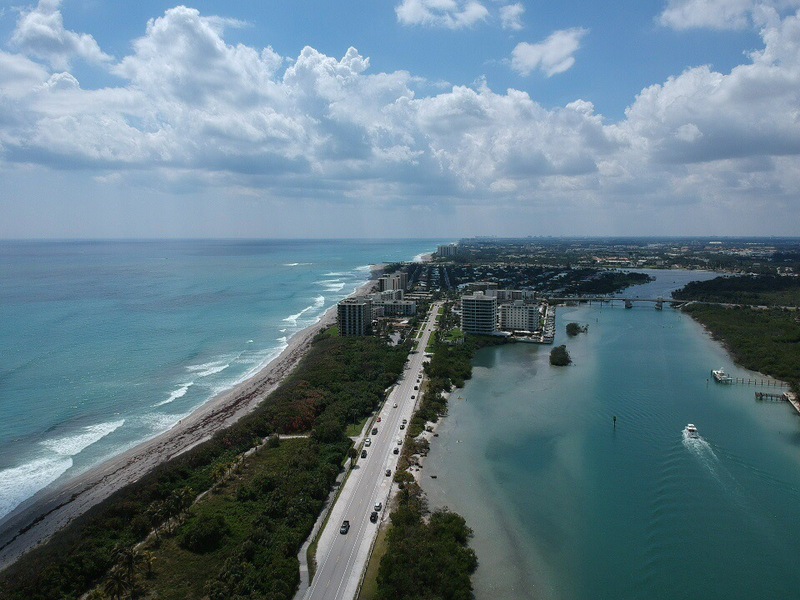 So while I view my drone as an essential beach item, knowing where it is allowed is equally as important. During the afternoon we headed off to West Palm Beach for an art show. I have to confess that I was impressed by the artists--however, one piece really made me smile. 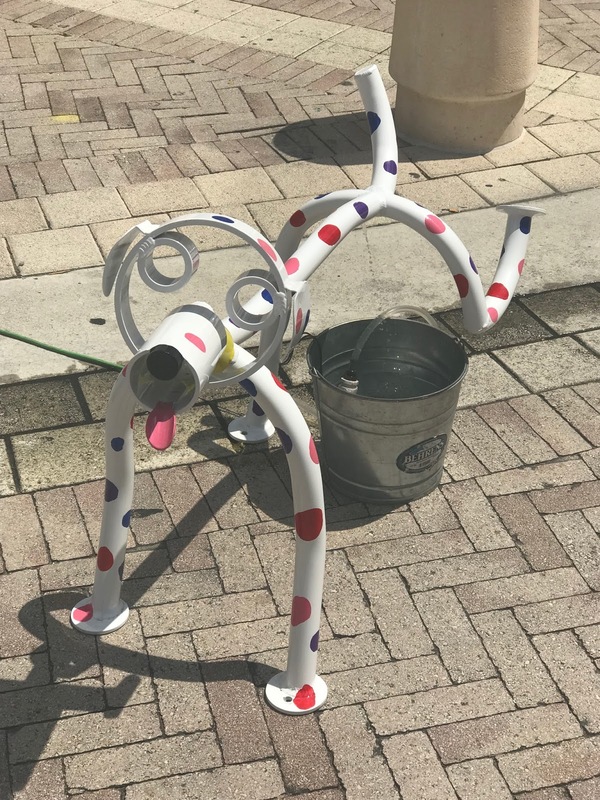 I was this tubular dog who was lifting his leg. Another day is on tap and my Spring Break vacation is rapidly coming to an end. I wonder what we will do today?